Far North Dallas real estate is a hot spot for young professionals and metroplex pleasure seekers. The area boasts an exciting urban atmosphere, rife with commercial and entertainment options. Homes in Far North Dallas are close to high end shopping at Neiman Marcus, Nordstrom, Saks Fifth Avenue, and the Galleria Mall. 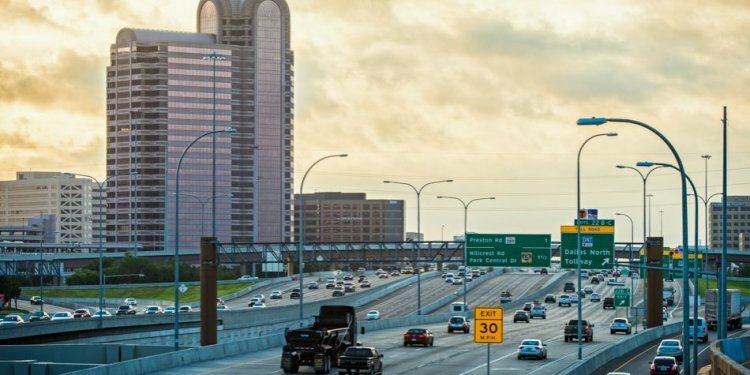 This section of the city provides a quick 20 minute commute to downtown and easy access to the rest of the metroplex through the Dallas North Tollway (north-south) and I-635 (east-west). Real estate in Far North Dallas is an attractive option for residents seeking upscale living outside of the downtown core. Browse our complete listings of homes in Far North Dallas. You can also check out communities in this area including Carrollton, Addison, and Frisco. If you'd like more information about living in this section of the city, please below. Homes in Far North Dallas are close to a great variety of restaurants, entertainment venues, and retail outlets. Addison boasts an amazing assortment of eateries, making it a popular lunch and dinner spot for visitors and residents alike. The area is home to the North Texas Jazz Festival, the Taste Addison, Addison Kaboom Town, and an annual Oktoberfest celebration. Those that enjoy outdoor recreation and green spaces will find many within walking distance of Far North Dallas real estate such as Arbor Hills Nature Preserve and Campbell Green Park and Recreation Center. There are also a number of golf courses in the area including Brookhaven Country Club, Riverchase Golf Course, and Coyote Ridge Country Club. Lewisville Lake is only minutes away from Far North Dallas homes, a hot spot for boating, fishing, waterskiing, swimming, and much more. This is the perfect area for all types of buyers - there's truly something for everyone! This section of the city is part of the Dallas Independent School District. This district is rated as "academically acceptable" by the Texas Education Agency. Most homes in North Dallas are zoned to either Hillcrest High School or W.T. White High School.